We all have them. That difficult parent that emails and calls you every day, sometimes multiple times a day. Sometimes these parents belong to our very special friends, but many times, these parents are just concerned. No matter where a difficult parent is coming from, their constant barrage of messages can quickly turn into what feels like an attack, even when they don’t mean it that way. Here’s the deal. If you have not had one of these parents yet, they are coming, and 99.9% of them really don’t mean any harm. However, especially as a new teacher, they can be quite intimidating. So, here’s a game plan for communicating with THAT parent, for your sake and theirs. Most of the time these parents have a reputation, and you know that they are on their way to your room long before they do. Do yourself a MEGA favor and reach out first with something positive. One year, when I received my class list I noticed that I had one student whose parents were very concerned and contacted his previous teachers often. I worked with our AP to invite them to our classroom before the school year started so that they could ask any questions, check out our room, and open the lines of communication. They were incredibly appreciative and it gave us a great start to the year. While this might not always be possible, a quick phone call most certainly is, and these parents will remember that you reached out to them. As teachers, we are natural problem solvers, and often times have a habit of jumping in and trying to solve a problem instead of hearing it out. I am definitely guilty of this. These parents want to know that they are being heard, so bite your tongue and hear them out. Once they have finished you can offer input. 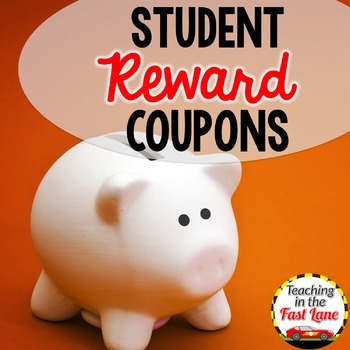 The trick here is to really truly listen to their concerns because most of the time they just want to know that you are there for them and their student. It is easy to roll your eyes or gasp when the seventh email of the day rolls in from the same parent, but remember to breathe. I mean it. Instead of getting frustrated try to remind yourself that they are contacting you out of love and concern for their child. This one is particularly tough when parents start to become accusatory, as they sometimes can, so take a break and walk away. As a teacher, I had a 24-hour reply policy. This way, if that parent continued to email me over and over again, they knew that I might not get back to them right away. It gave me the opportunity to walk away and take a breath, gain some perspective on the situation and reply with a level head. Email is amazing, and it is how I chose to communicate with parents for the most part, BUT tone cannot be conveyed through email very well and I would often read into things that just weren’t there. If I was doing it, chances are the parents were too. Moral of the story, when you have something tough to discuss, pick up the phone, or even better do it in person where tone and connotation can be conveyed easier. I know that it is tougher, but it is definitely worth it. Haven’t heard from your usual daily emailing parent? Shoot them an email checking in. This will win you major brownie points, and make sure that the parent knows that you are committed to keeping communication open. This also makes it much easier to pick up the phone if a tough situation arises. This one is particularly important if there is any tension between you and the parent. Tension is never good and can lead to some very uncomfortable conversations, but it is still important to have them. Make sure that you are covered though by inviting a third party such as the school counselor, administrator, or another teacher that works with the student. Ideally, it would be someone that the parent also knows, because you don’t want it to feel like an ambush. This is also VITAL if the parent has been accusatory or threatening in any way. It is crucial to have someone else in the room as a witness for both of you. Keep a simple log of communication between you and the parent. I had one parent my first year that tried to say that I had never tried to speak with her about her student’s progress, but I was able to show the numerous emails, phone calls, and notes home that I had tried. This is a CYA thing for sure, but necessary. Also, if the student of the parent in question is challenging make sure to keep anecdotal notes of anything that happens throughout the day both positive and negative so that you are able to give specific information when discussing it with the parent. This one can be so tricky, but it is important to focus on the task at hand and not wander into another conversation. Make a list of the items that you want to discuss and make your way through them succinctly. 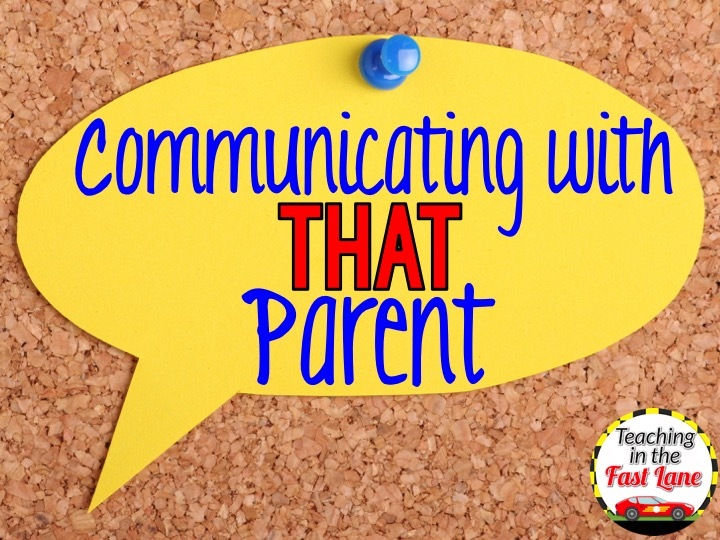 If the parent is the one who tries to drag the conversation off topic, let them know that you only have a few minutes, but want to make sure to hear their concern. This should make sure that they get to the point right away. This final one is quite possibly the toughest, but also the most important. Parents need you to be honest with them about their students. While it is important to be positive, there is no need to sugar coat things. Celebrate the living daylights out of accomplishments, but don’t be afraid to discuss areas that need improvement. Above all else, remember that you can do this! Parents can be difficult from time to time, but always keep reminding yourself that they are fighting for their child, the same child that is in your class that you are fighting for too! One of the best resources that I have used has been this book (affiliate link) Powerful Phrases for Dealing with Difficult People. It is a list of great phrases that help you to remain assertive without trailing into passive aggression.